Comcast selected the Cisco ASR 9000 routing platform for its nationwide Metro Ethernet services. SAN JOSE, Calif., June 20, 2011 – Cisco announced today that Comcast, one of the nation's leading providers of entertainment, information and communications products and services, has deployed the Cisco Aggregation Services Router 9000 Series (ASR 9000) as part of its next-generation network that is delivering advanced business services in more than 20 major U.S. markets, with expansion into new markets planned in the months ahead. Comcast is working with Cisco on this deployment based on Cisco's technology, services, and experience helping network operators scale services to meet business customer demands. Designed to deliver massive scale and accommodate the projected explosion in global Internet traffic, Cisco's ASR 9000 provides Comcast with a converged infrastructure that optimizes service delivery through its flexibility, wide array of features and its emphasis on Carrier Ethernet. Comcast's Metro Ethernet services, which provide access to the company's next-generation fiber optic network for businesses with high-bandwidth needs in multiple locations, are part of an ongoing strategy to expand Comcast's portfolio of business services to meet the requirements of larger customers. The Cisco ASR 9000 includes capabilities optimizing it for video delivery, including integrated content caching and in-line video performance monitoring. The new platform also uses Cisco's IOS XR modular software operating system, helping simplify Comcast's network operations and enable economic, seamless comprehensive system redundancy and network resiliency. "As part of our MEF-certified, multi-vendor infrastructure for delivering Metro Ethernet services, Cisco is helping us address the needs of mid-sized businesses looking for flexible, scalable and reliable bandwidth options to meet the increasing demand for cloud, business continuity and other high-bandwidth applications." "Growing businesses depend on service providers to deploy business-critical applications and services that are vital to their business success. In response, service providers must make the necessary network enhancements to enable these services with platforms that not only provide the necessary functions but are also easy to provision, scale and upgrade. 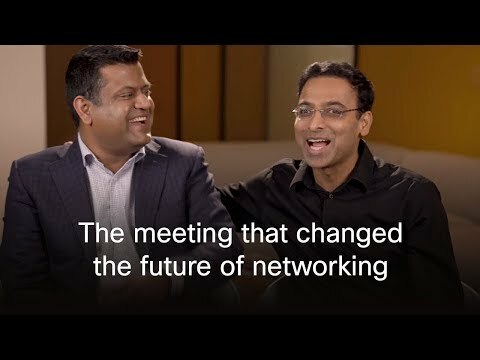 Backed by leading technologies like the ASR 9000, which is deployed with major service provider customers worldwide, Cisco is equipping customers with the very best network foundation for extending new business applications well into the future."